I wish I could put the southern hemisphere superstar RS Puppis on top of my tree—if it weren't ten times more massive, 200 times larger, and 15,000 times brighter than the Sun. This "holiday wreath made of sparkling lights" captured by the Hubble Space Telescope is amazingly beautiful. RS Puppis rhythmically brightens and dims over a six-week cycle. It is one of the most luminous in the class of so-called Cepheid variable stars. Its average intrinsic brightness is 15,000 times greater than our sun's luminosity. 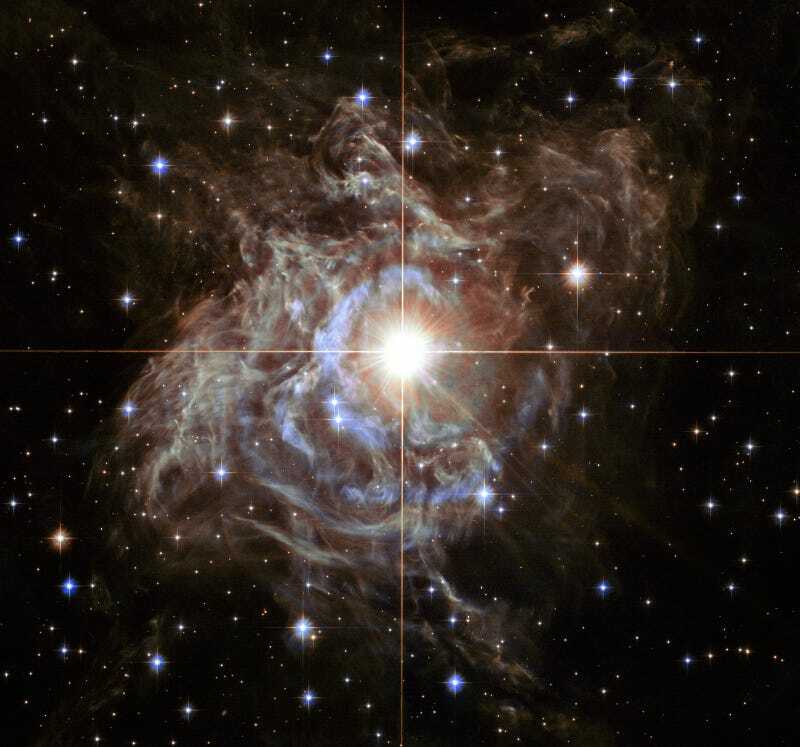 By observing the fluctuation of light in RS Puppis itself, as well as recording the faint reflections of light pulses moving across the nebula, astronomers are able to measure these light echoes and pin down a very accurate distance. The distance to RS Puppis has been narrowed down to 6,500 light-years (with a margin of error of only one percent).